Hannah Payne's life has been devoted to church and family. But after she's convicted of murder, she awakens to a nightmare: She finds herself lying on a table in a solitary confinement cell, her skin turned bright red. Cameras are broadcasting her every move to millions at home, for whom observing newly made "Chromes"—criminals whose skin color has been genetically altered to reflect their crime—is a sinister form of entertainment. Hannah is a Red, a murderess. The victim, says the state of Texas, was her unborn child, and she's determined to protect the identity of the father, a public figure with whom she shared a fierce and forbidden love. 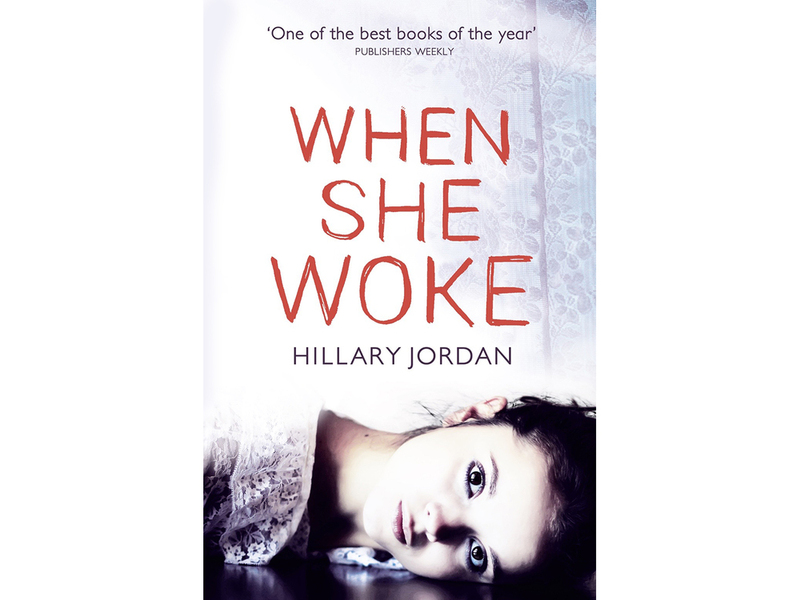 A powerful reimagining of The Scarlet Letter, When She Woke is a timely fable about a stigmatized woman struggling to navigate a dystopian America. In this not-too-distant future, the line between church and state has been eradicated and convicted felons are no longer imprisoned, but "chromed" and released back into the population to survive as best they can. As she seeks a path to safety in an alien and hostile world, Hannah unknowingly embarks on a journey of self-discovery that forces her to question the values she once held true and the righteousness of a country that politicizes faith and love.